Hey guys, Rachel here again. 🙂 Today I’m going to be explaining the massive benefits that Vitamin C and the related Serums can provide - benefits that are really quite numerous and varying. For this article, I will be focusing on what I believe are the Top 15 Benefits. However, if you're looking for a more thorough explanation on everything to do with this topic, then please feel free to check out my comprehensive guide on the matter. This guide can be located by clicking on the image located below. This guide will also reveal the best Serum on the market today. UV rays from the sun pose as a hidden danger to our skin that many people choose to ignore or else aren’t fully aware of. We all know that excessive exposure to high UV rays will leave our skin burnt to some degree, but many think that if we don’t get burnt then no harm has been done. This isn’t true! UV rays can be described as being an accumulative danger. By this, I mean that it’s not something that appears harmful in the short term, but in the long term it can actually be quite damaging for our skin’s health. 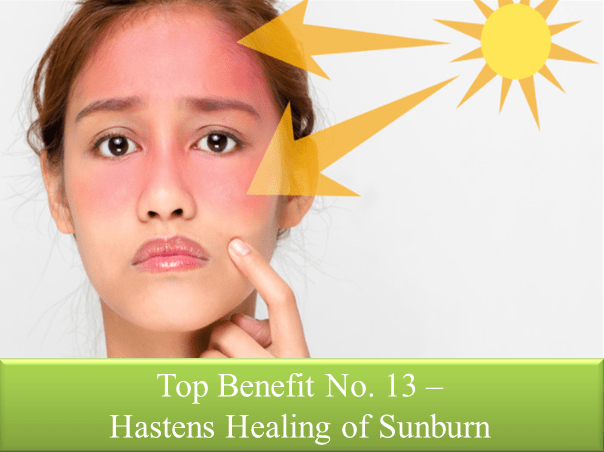 This is because the damage caused by these rays accumulates on our faces over a lifetime. That’s the bad news! Now for the good bit. 🙂 Vitamin C Creams have been proven to act as a barrier that protects your skin from these UV Rays. Serums penetrate your skin at an ideal level and therefore create an additional level of protection for your skin. IMPORTANT: it’s key to note that this treatment must never be used as a replacement to sunscreen. Rather, Serums should be used as a supplement. Sunscreens have been specifically designed to offer protection from the sun’s UV Rays so they should always be your first port of call when looking to screen yourself from the sun. Creams help to offer a secondary layer of defense, something that is often needed! But how do Vit C Serums combat these free radicals? They do so by supplying our bodies with antioxidants which then provide electrons for these free radicals. This thus nullifies the danger that these elements can pose. Vitamin C is well-known for being a powerful harbinger of antioxidants. Creams are therefore key in preventing and counteracting the dangers caused by free radicals. Firstly, what exactly is skin glycation? 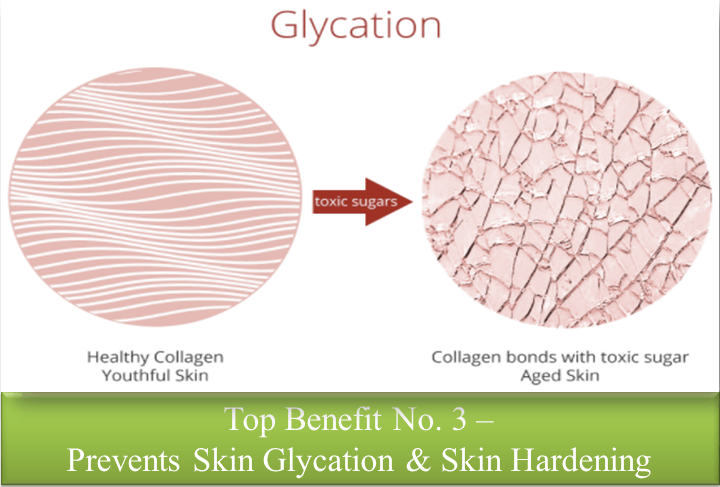 Without getting too technical, glycation occurs when sugars like fructose and glucose interact with proteins such as collagen. This results in damage occurring to the collagen molecules – notably making them far less sturdy in construct. This then causes our skin to become harder as it loses its elasticity. We’ve already explained how this can have very negative effects for our skin. Some of the results of this can include excessive wrinkling and sagging of affected skin. Vitamin C Serums work to neutralize this glycation process, thus preventing it from damaging the collagen molecules. These creams, because of their design, are the best suited method to prevent this from occurring. 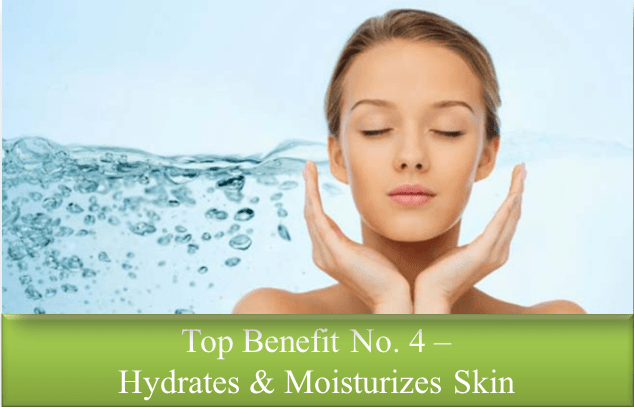 In order to have healthy skin, it's absolutely key that our skin remains both hydrated and moisturized. This may seem obvious, but often we do not take care to ensure that our skin is correctly looked after in these areas. It quite common for people to suffer from dry or sensitive skin, with most people having one of these skin types somewhere on their face. If left untreated, these areas can become raw, irritated and flaky. This is where a top quality Serum comes into the picture. Vitamin C Serums are designed to offer refreshment and nourishment to areas of the skin that are lacking in hydration/moisture. By using a top product, you can successfully supply your dried out areas of skin with the necessary nutrients and antioxidants that are found in Vit C.
This is one of the key benefits that Vitamin C Creams provide – they boost collagen production levels significantly. But what exactly is collagen? And, more importantly, what does it mean in relation to our bodies? The answer to this first question is pretty straightforward. 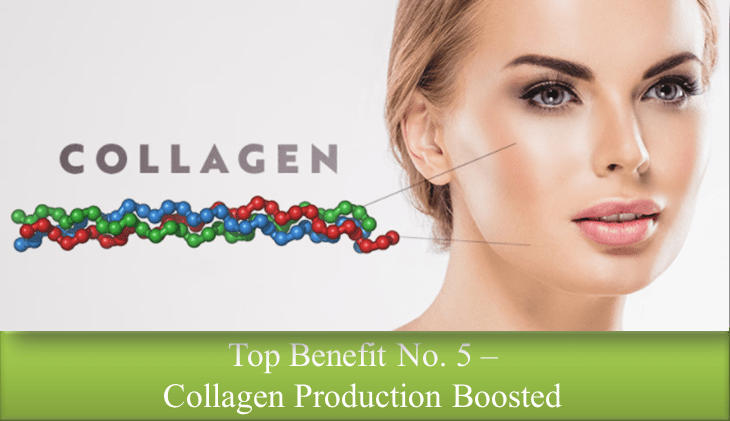 Collagen is an abundant protein that is naturally created within our bodies. It can be found in all areas of our body – including bones, muscles, blood vessels, tendons, ligaments, bodily systems, and, of course, skin. 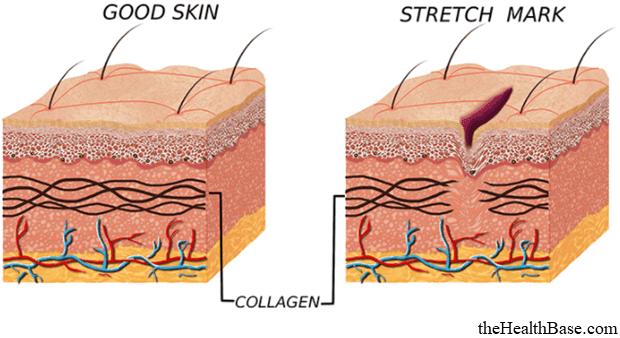 What is collagen’s purpose in our bodies? 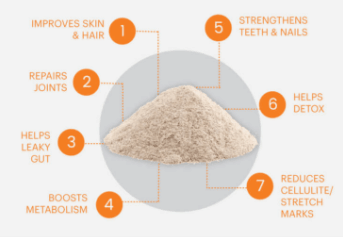 It’s collagen’s role to provide necessary strength and flexibility to our skin as well as aiding with the removal of dead skin cells. You can see therefore why boosting the production of this protein is very positive for our bodies. Collagen can be found in any food that is rich in vitamin A – such foods as carrots, oranges, and sweet potatoes. However, because of their specific design, Vitamin C Serums have been proven to be the best method of supplying collagen to our bodies. Why? Because they have been scientifically created so as to be penetrate our skin at the most beneficial level. This means that the Serum can boost collagen production in the most economical and effective manner. Due to the boosting of collagen production, the Serums act to improve both the strength and elasticity of our skin. The key question is, why are these two factors so important? Well, strengthening of our skin is pretty self-explanatory. It’s very rare that any negatives are associated with strengthening any part of our bodies! I certainly can’t think of an example. Strength is something that is associated with health and vitality. Therefore, strong skin is definitely preferable! Strong skin will mean that you have a healthier and fresher complexion. In terms of aesthetics, this will result in you looking your best. Your skin will be refreshed and will glow due to the fact that it is at its best. Possessing strong skin will also mean that you’ll be less likely to foul of facial afflictions like acne or eczema. In terms of elasticity, having flexible skin is very much desired as it ties in with a youthful complexion. Youthful skin is naturally supple and of an elastic nature due to the abundance of elastin and collagen in it. The older you get, your skin loses this elastic nature which then makes it look older. Therefore, by improving the strength and elasticity of your skin, Vit C Serums can drastically increase both the appearance and functionality of your complexion. If there is one thing that we can all agree on…it’s that none of us want to get older!! The aging process, though inevitable, is something that we battle throughout our lives. Whether it be using beauty products; eating healthily; exercising; or quitting harmful habits, in our own ways we all wage a private war against Father Time! I’ve explained how agents such as UV Rays and free radicals are well known for increasing the aging process. But, unfortunately, they're not the only factors that we have to be wary of. There are other culprits. 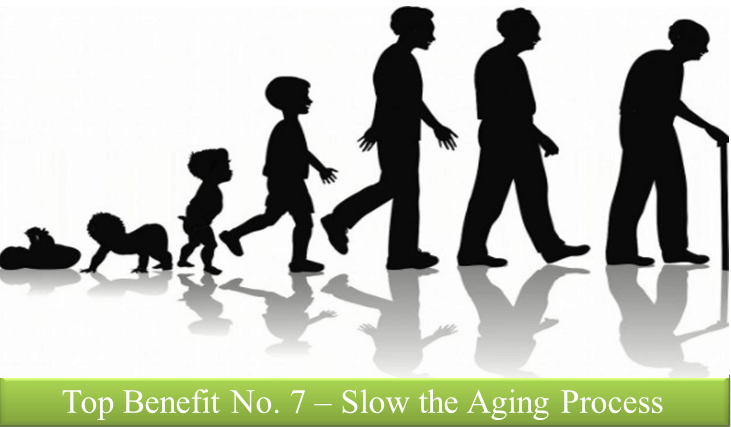 Things such as stress; smoking; drinking; poor diets; lack of exercise; unhealthy hygienic habits, and even pollution can have negative impacts on the aging process. Sounds a bit depressing, I know! That’s pretty much what my line of thinking was when I began to understand the aging process and its factors. I thought to myself, how can I possibly make a dent in so many different harmful agents? Well, a top Vitamin C Serum is certainly something that works to counteract a whole host of these harmful factors that we experience on a daily basis. As explained, Vit C is filled with antioxidant properties, not to mention the fact that it boosts the production of collagen. Both these factors are immense in battling the aging process. IMPORTANT NOTE: It’s true that this treatment is hugely beneficial in combating the aging process, but it can only do so much. However, if you also possess an all-round healthy lifestyle then this further increases your efforts against the dreaded aging process. In terms of the aesthetic benefits of Vit C Creams, a great one is that brown spots are reduced in terms of their visibility. This is achieved by the way these creams prevent an overproduction of the pigment melanin. Melanin is a complex polymer that has been derived from the amino acid tyrosine. It is responsible for deciding the color of skin and hair. This doesn’t sound too bad, yes? The problem occurs if there is an overproduction of melanin which can cause brown spots to appear in areas. 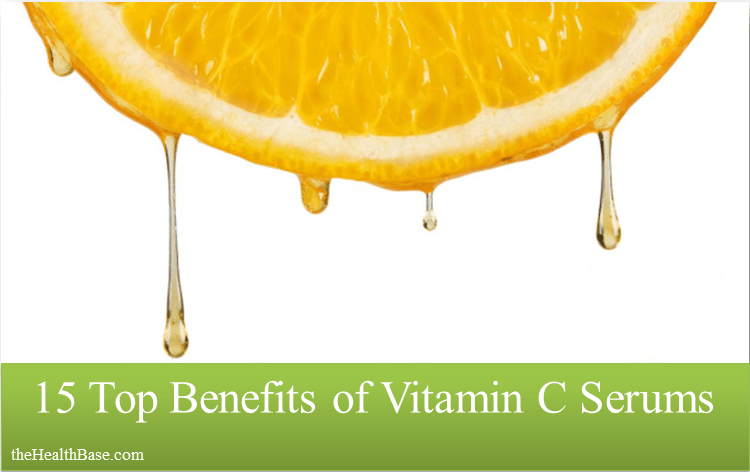 Vit C naturally works to alter the production of melanin. This then goes onto improve the color of our skin. Persistent use of a Vitamin C Serum will result in brown spots being lightened, thus reversing the effects caused by hyperpigmentation. This benefit ties back into the production of collagen which Vitamin C Serums guarantee. For those of you who aren’t familiar with stretch marks, they are narrow lines/streaks that can appear on the skin’s surface. The technical term for this phenomenon is striae gravidarum. Stretch marks are caused when the dermis (underlying skin) is torn. This can occur from a wide variety of reasons – puberty; growing muscles; pregnancy; hormone replacement treatment; and other factors. Whatever the reason, stretch marks are unseemly occurrences that are never welcome. So how do Serums help? Simply, by boosting the production of collagen, this allows your body to maintain its strength and elasticity which helps to prevent the formation of stretch marks. By doing this, your skin is much less likely to tear when stretched for whatever reason. This gets even more important as you get older because your body's collagen production levels begin to slow down naturally. This is where Serums can play a vital role. Though, it has to be said that even though these creams work to prevent stretch marks from appearing, it doesn’t remove ones that have already formed. If you'd like to know more about stretch marks, then check out our comprehensive guide. 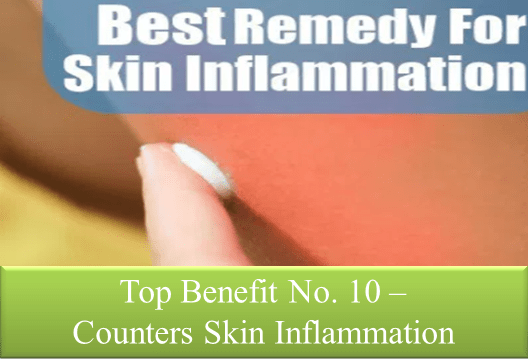 Skin inflammation is an unseemly thing to suffer from. If inflamed, your skin can turn red and blotchy, often giving the impression that you have some sort of flu or bug…or perhaps too much alcohol! Either way, it’s not the kind of look anyone would want for their complexion. What’s worse, this inflamed skin can then go on to be blotchy and even itchy. To summarize, it can turn into a real nightmare!! I’ve had this happen to me in the past and I reacted the way most women do – I packed on the makeup to compensate!! Bad idea as this just compounded the problem. My skin then had now chance of righting itself buried under layers of makeup. Moisturizers are a good way of dealing with this issue as they provide refreshment to inflamed skin. A Vit C Serum and moisturizer is an even better method! A Serum’s anti-inflammatory capabilities will bring instant relief to your skin. This treatment over time will reduce the chance of your skin becoming inflamed. The less makeup that we use the better it is for our skin. Why? Because makeup prevents our face from breathing and naturally exfoliating, servicing as a barrier and blocking device for such things. Now, don’t get me wrong, there is nothing wrong with wearing makeup. I personally use a variety of makeup types on a daily basis – just like tons of other people. However, in recent times, I certainly have become more conscious about the amount of makeup that I apply to my face. Luckily, my downsizing in terms of makeup use coincided with including a Vitamin C Cream into my beauty routine. This resulted in my skin becoming healthier and more natural looking in appearance. Furthermore, it meant that I actually needed less and less makeup as my skin started to look its best without any enhancements. A huge amount of people apply makeup to cover up some sort of blemish or skin problem. By fixing these issues with a top Vit C Serum, this eliminates the need for excessive makeup. 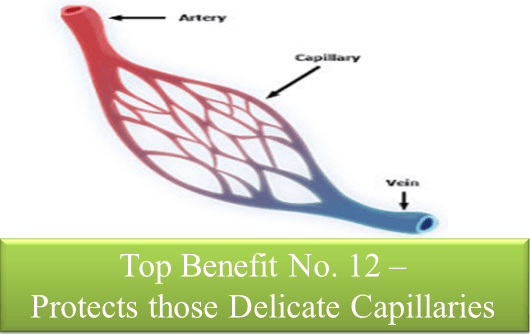 Capillaries are fine blood vessels that create a network that connects the arterioles and venules in your body. In terms of their function, it’s a capillary’s job to transfer oxygen and nutrients to where they are needed as well as removing waste products from your body. But how does Vit C and the Serums affect capillaries? Well, Vit C has been proven to strengthen capillaries (blood vessels) which reduces the likelihood that damage might be caused to them. This mineral can also repair damage that had occurred. Damage to capillaries is known as ‘broken capillaries’ and can result in quite an unseemly appearance – kind of like red spider webs on the surface of your skin. A Vitamin C Serum can work to prevent this from occurring as well as easing any damage that may have occurred. We all (unfortunately :() know what sunburn feels and looks like, but what exactly it is? 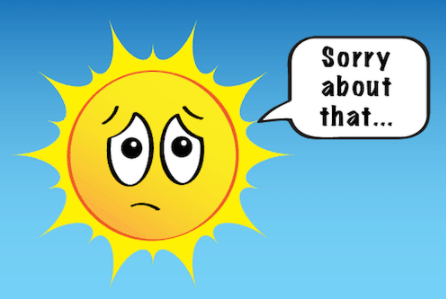 In a nutshell, sunburn is when your skin becomes over-exposed to UV Rays – either extreme rays for a short period of time, or normal rays for a prolonged period of time. 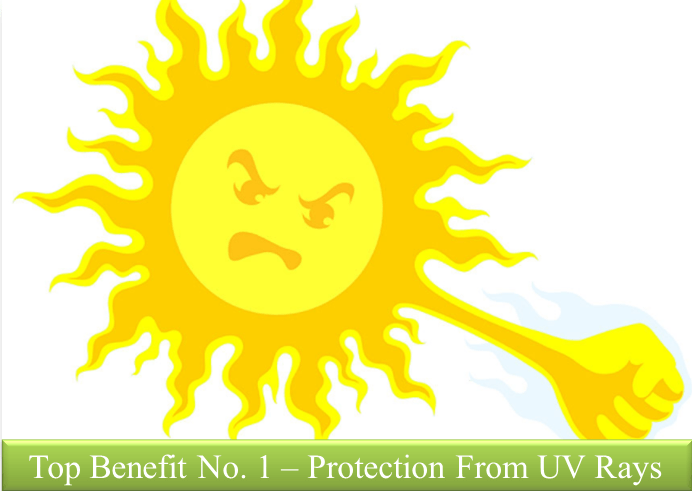 Obviously, the lack of using sunscreen or any protection will worsen the damage caused by these UV rays. Now, sun damage can come in many forms. It’s not always noticeable like the majority of people believe. Just because your skin isn’t red and irritated doesn’t mean that no damage has occurred. Even a slight tanning of your skin could mean that damage has happened on some level. Vitamin C Creams are hugely beneficial when it comes to potential sun damage as their formula works to both prevent this damage as well as remedying any that might occur. In terms of prevention, a top grade cream can add an extra layer of defense to your skin’s surface. This, of course, should be used in conjunction with a quality sunscreen. If damage does occur due to UV rays, then a Serum can work to quickly soothe the damaged skin and replenish it with all those good nutrients that can be found in Vit C. This will help to ease the damage caused by UV rays. Overall, this will result in the healing process being expedited and also far more conclusive. 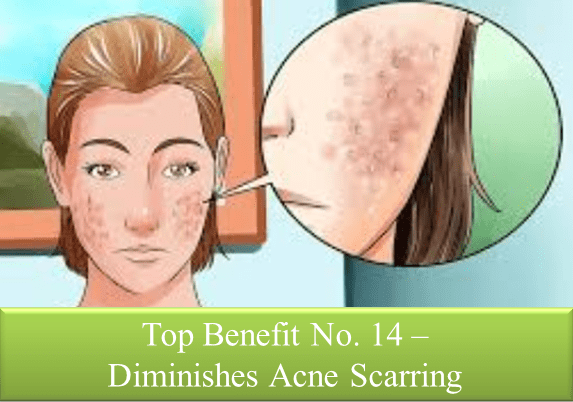 Acne is a terrible affliction that most people suffer from at some point in their lives. Some people are fortunate to only be effected by a few zits or pimples every now and again. However, some of us are affected by severe breakouts that can even last for years – usually during our teens. Severe acne over a prolonged period of time could then result in acne scars forming. This is the worst case scenario in terms of acne. To have permanent scars left on your face is really a horrible thing to have happen to your face. It can have serious negative ramifications with regards to how you perceive yourself and how you think others perceive you. 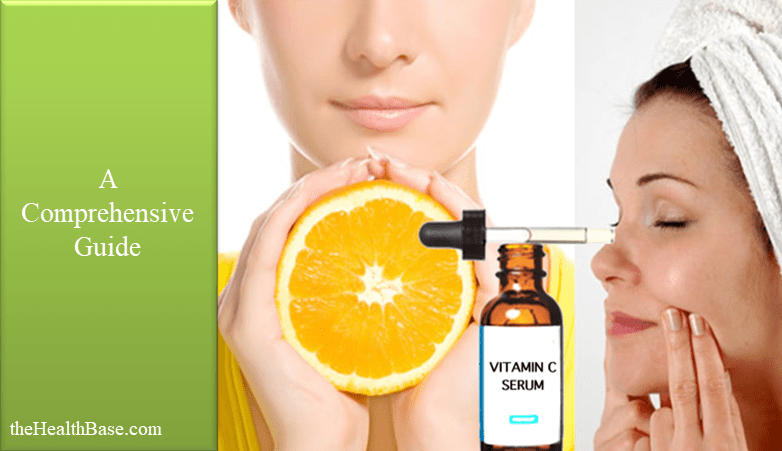 Firstly, it is important that you realise that a Vit C Serum CANNOT completely remove acne scars. This can only be achieved by more thorough medical treatments. In order to receive the proper information on this topic, we at the Health Base advise that you visit your local doctor or dermatologist. However, not all is lost! While Vit C Serums cannot remove acne scarring, they can certainly greatly diminish the aesthetic appearance of these scars. How you ask? Well, because of the numerous and bountiful benefits that such creams can deliver. Boosted collagen production; increased flow of antioxidants; increased lightening of skin complexion; improved hydration and moisturizing. All of these factors will work to diminish the adverse effects of acne, notably the scars that may be left. Eczema can come in quite a different amount of forms. Each form though results in the affected skin becoming irritated and inflamed to some degree. It can also occur on any part of the body. 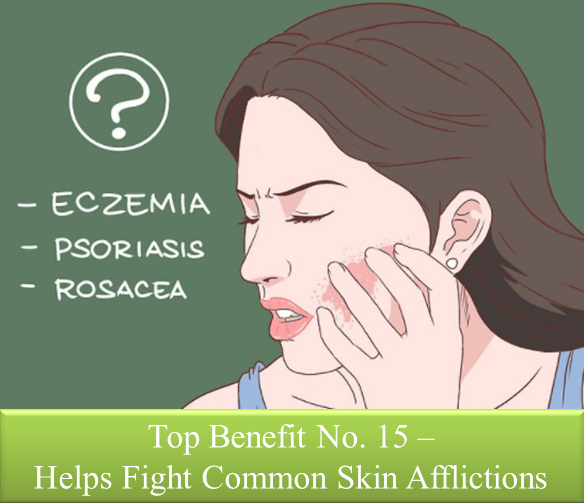 Much like eczema, psoriasis also causes skin to become inflamed. Psoriasis however also causes skin to become flaky and crusty. The areas of the body that is usually affected by this condition are the elbows, knees, lower back, or scalp. Rosacea is quite a common skin affliction and usually appears on people who are over the age of 30. Pronounced "roh-zay-shuh", this skin condition can cause redness to occur on the chin, nose, cheeks, or forehead. Other issues that can occur are burning and soreness in the eyes as well as pimples or bumps appearing on the affected areas. Sufferers of these three skin conditions, and many more besides, can benefit hugely from a daily use of Vitamin C Cream. 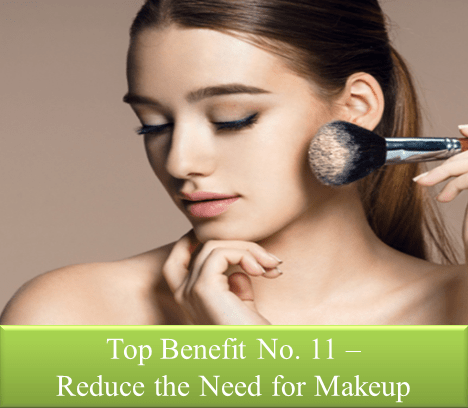 As listed in the previous benefit, this treatment provide a whole host of elements that can work to greatly boost the healthiness of your skin. That brings to an end my article on the top benefits of this particular health and beauty method. If you have read even a portion of this article, then you can see just how beneficial, nigh imperative, using Vitamin C Serums are. In terms of our overall health and appearance, Vit C plays a vital role in ensuring that we are at our peak level. Serums take this to the next level as they have been proven to be the most effective delivery method for this amazing supplement. Click to read guide - https://thehealthbase.com/best-vitamin-c-serums/. P.S. If you liked what you have read and want to further expand your knowledge on the area of Vitamin C Serums, then why not check out our related posts below. We will be adding new posts periodically.